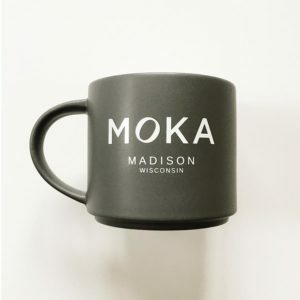 Home / Shop Online / Merchandise / Gifts / MOKA Black Travel Mug – 12oz. 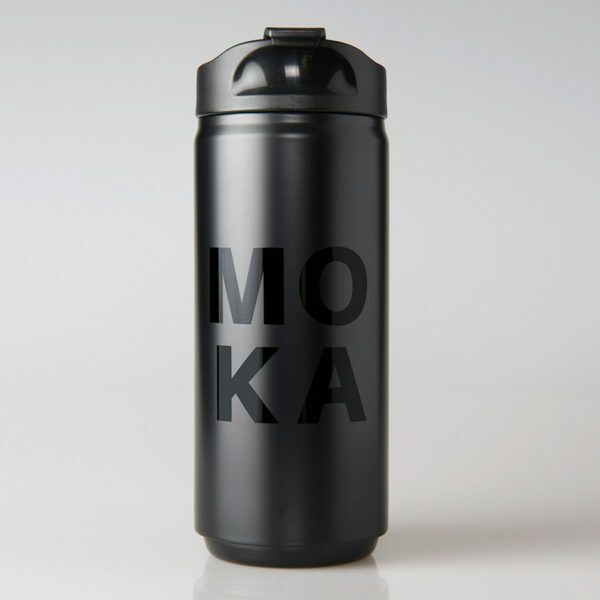 Black, tone-on-tone, MOKA travel mug yet. 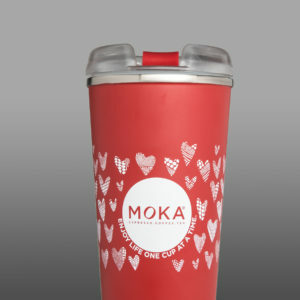 This double-wall stainless steel vacuum insulated mug holds just enough coffee to jump start your day. 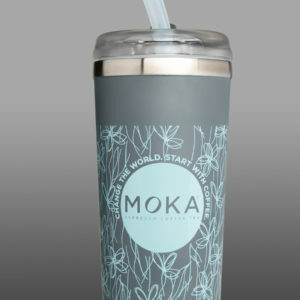 Comes with our threaded flip lid. Black. Holds 12-oz. hot or cold beverages.